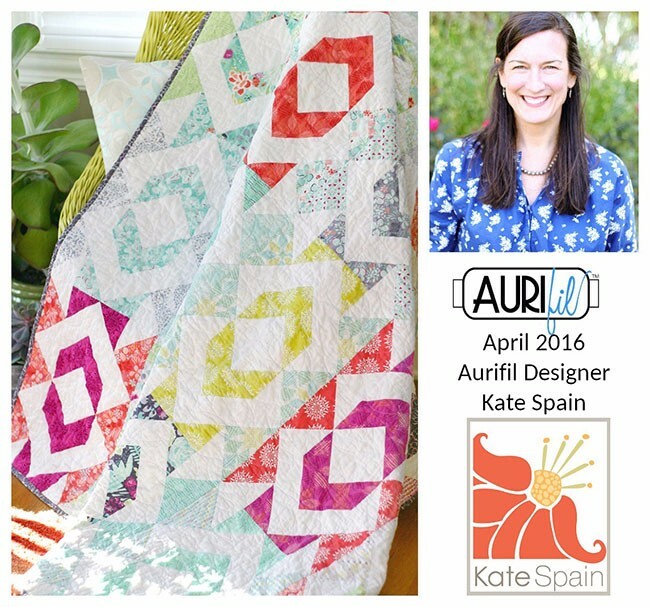 It’s Kate Spain’s turn this month to share her block design for the Aurifil Block of the Month. You can find all the details here. 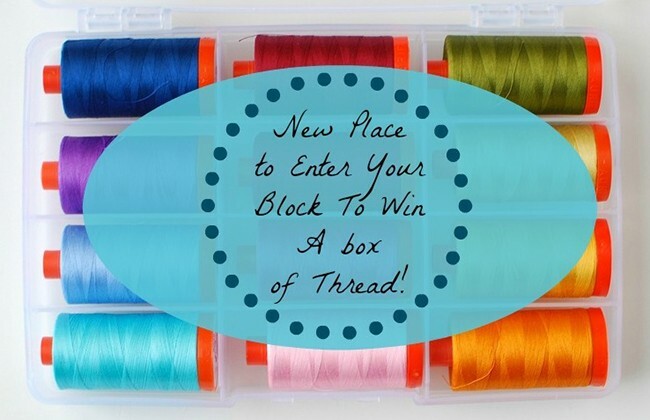 In order to enter a photo of your block for a chance to win a box of Aurifil thread, simply link up your photo right in the blog post, on Aurifil’s web site. Good luck! 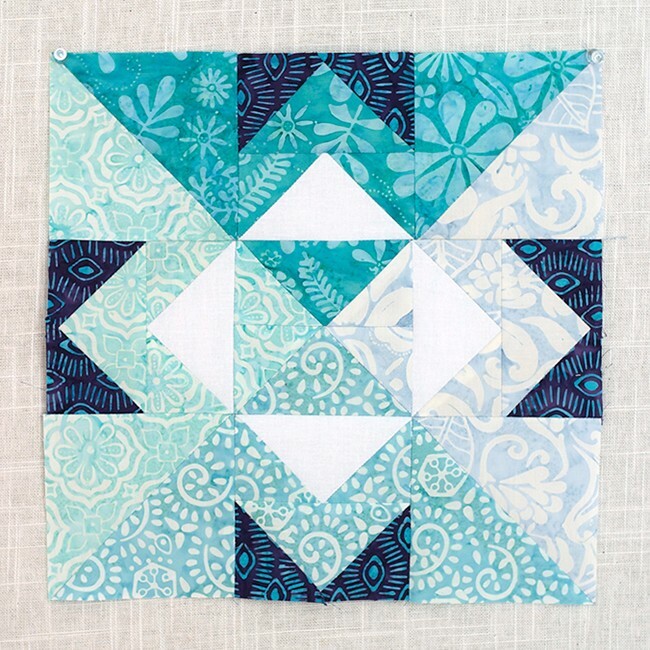 I love the way Kate used color in the block–it looks dimensional to me. She has used her new batik collection called Latitude.